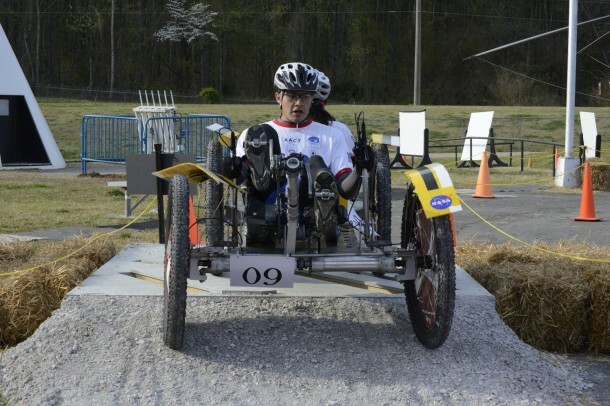 Academy of Arts, Careers and Technology in Reno, Nev., and University of Puerto Rico at Humacao Win Top Honors at First NASA Human Exploration Rover Challenge. 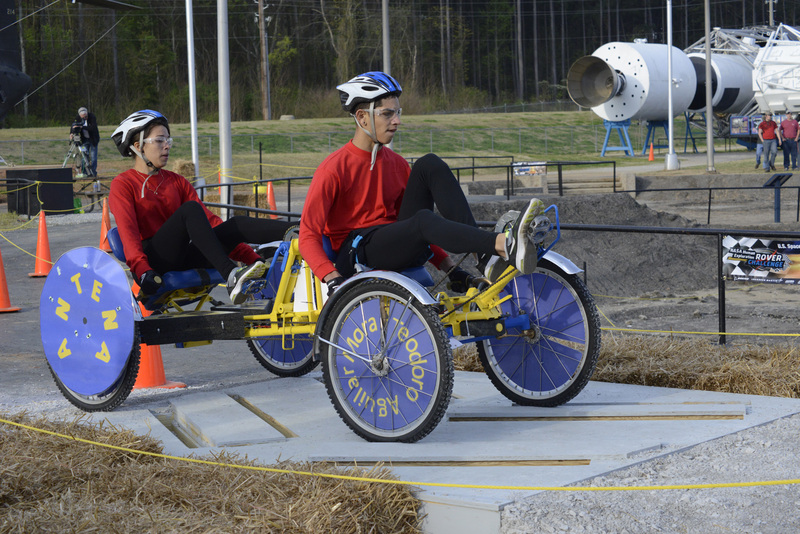 NASA today declared the winners of the first NASA Human Exploration Rover Challenge, held April 11-12 at the U.S. Space & Rocket Center in Huntsville, Ala. Student racers from the Academy of Arts, Careers and Technology in Reno, Nev., claimed first place in the high school division; the University of Puerto Rico at Humacao Team 2 won the top prize in the college division. They raced to victory against 70 high school, college and university teams from 19 states, Puerto Rico, Germany, India, Mexico and Russia. All told, more than 500 students — drivers, engineers and mechanics, plus team advisers and “cheering sections” — took part in the competition. 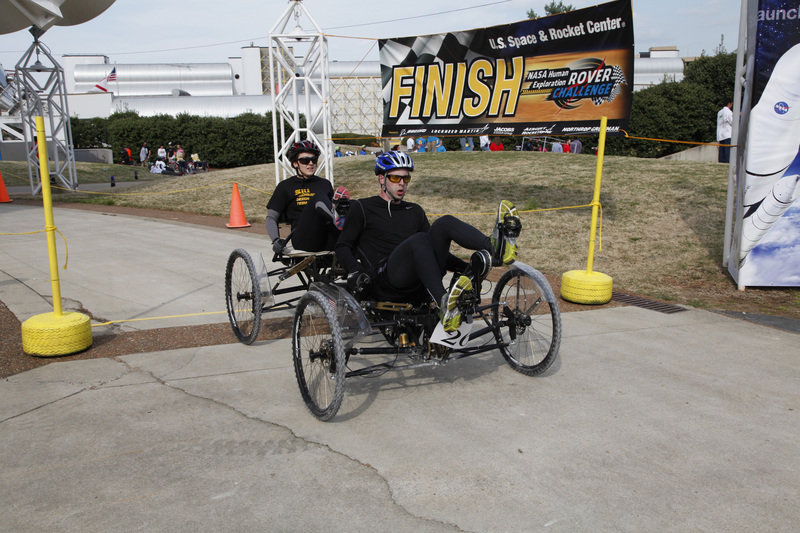 Organized by NASA’s Marshall Space Flight Center in Huntsville and building on two decades of competitive student innovation in the NASA Great Moonbuggy Race (held in the “Rocket City” from 1994-2013), the new event challenges students to design, build and race lightweight, human-powered roving vehicles, solving technical problems along the way just like NASA engineers must do. Those NASA engineers are paying attention: Students’ most innovative vehicle and hardware designs could help inform NASA’s own development of rovers and other space transportation systems for future exploration missions across the solar system. 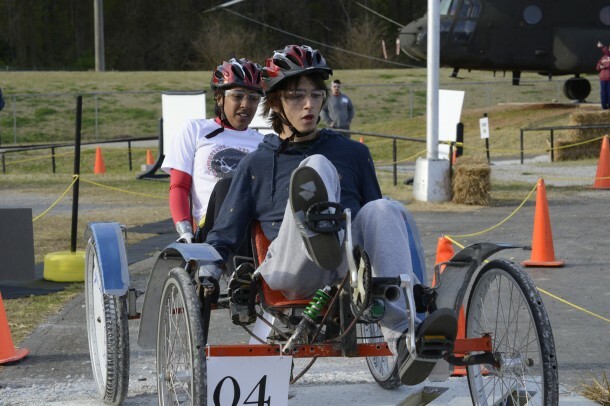 Just as importantly, the experience is designed to provide the future workforce to realize those new missions, inspiring students to pursue careers in the technical “STEM” fields — science, technology, engineering and mathematics — so crucial to the agency’s endeavors. 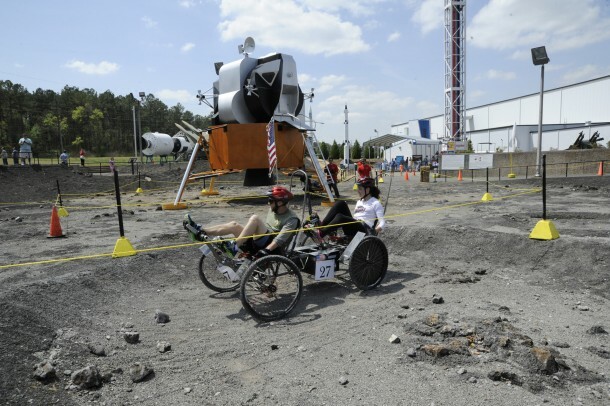 The NASA Human Exploration Rover Challenge is sponsored by the Human Exploration and Operations Mission Directorate at NASA Headquarters in Washington, and organized by the Marshall Center’s Academic Affairs Office. Major corporate sponsors for the race are The Boeing Co., Lockheed Martin Corp., Aerojet Rocketdyne, Jacobs Engineering ESSSA Group, and Northrop Grumman Corp., all with operations in Huntsville.